Jim Strode, Ph.D., ODU associate professor of Sport Management, and dean of Graduate Studies, delivered the Commencement address. 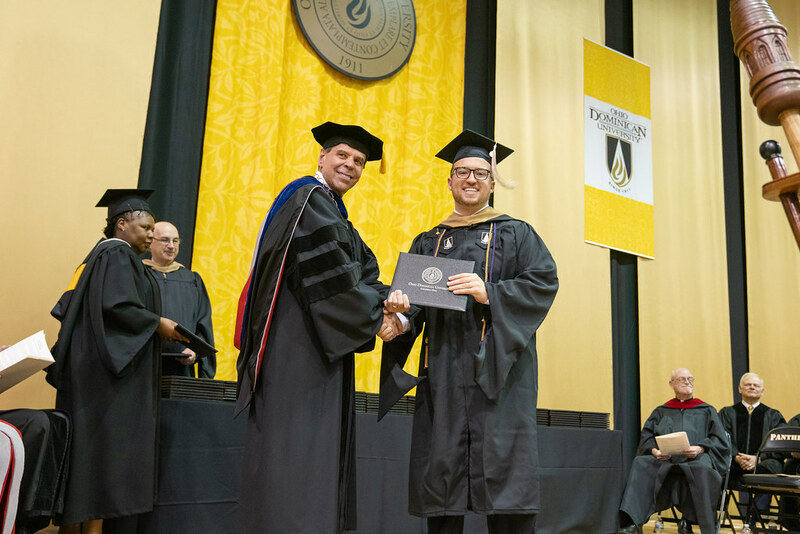 Ohio Dominican University officially welcomed more than 170 graduates into its alumni family during the University’s 110th Commencement ceremony on Saturday, Dec. 15, 2018. Graduates were joined by hundreds of family and friends in Alumni Hall. Click here to view a complete list of Fall 2018 graduates. View photos from Saturday's graduation ceremony below or on ODU's Flickr page. Enjoy this highlight video from Fall Graduation 2018!